Already awarded Best Concept at 2016 Geneva Motor Show, Pininfarina’s hydrogen-fueled supercar has now been elected Concept of the Year by influential U.S. Automobile Magazine. For those who love it, from 3 to 11 December 2016 Pininfarina’s supercar will be on display at the Bologna Motor Show on the collective stand of ANFIA Car Coachbuilders & Designers Group. Bologna will be the final stop for 2016 of H2 Speed European tour which also visited France, Belgium and UK. 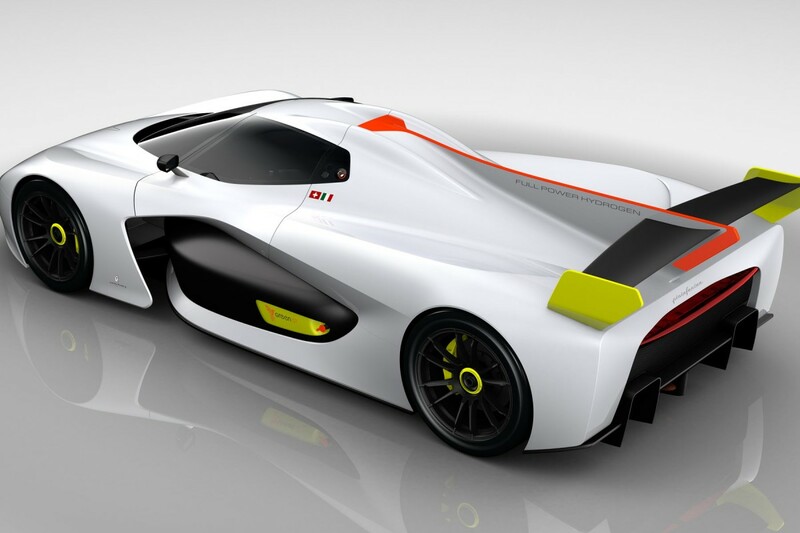 H2 Speed is Pininfarina’s innovative vision of a high performance track car based on revolutionary hydrogen fuel cell technology already subjected to severe track testing by Green GT. A showpiece of style and technology in the name of sportiness, performance and pure, environmentally responsible driving fun. The H2 Speed will appeal to passionate people who love speed, performance and innovation and, at the same time, are attracted by the exclusivity typical of a Pininfarina-designed vehicle produced in a limited series.